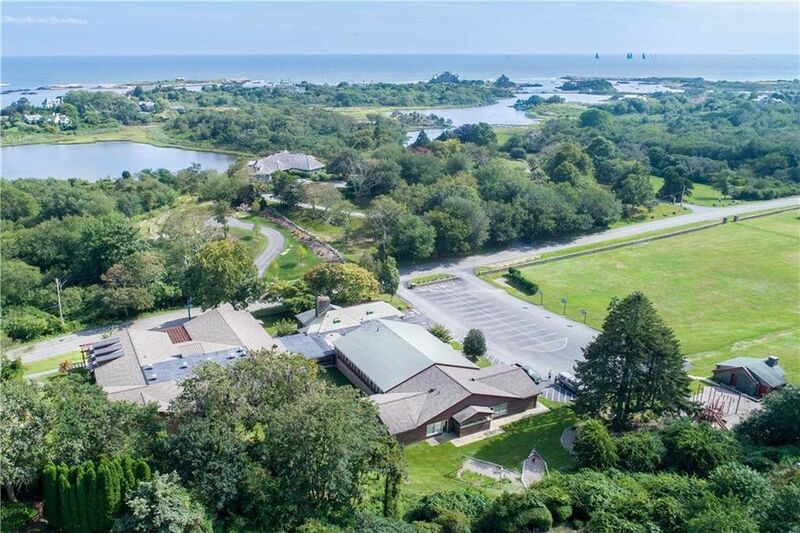 Cluny School and its surrounding property on Brendton Road was listed earlier today for $2.995 million. The Cluny School, established in 1957, was a private Catholic elementary school for grades PK -8 and was incorporated into the Catholic School System of the Diocese of Providence up until the earlier this year when it closed at the end of the 2016/2017 school year. The Cluny School first opened as a small kindergarten in September of 1957 in response to a request made to the Sisters of St. Joseph of Cluny from military families stationed at Fort Adams. A grade was added each year thereafter until the first Cluny eighth grade graduation in 1965. The school operated on a portion of land donated to the Diocese of Providence by the estate of the late Arthur Curtiss James, which was deeded to the Diocese of Providence in 1941. To see the listing and more photos, visit http://www.realtor.com/realestateandhomes-detail/75-Brenton-Rd_Newport_RI_02840_M45739-97581?cid=prt_patch_editorial_web_patch#photo0.